Home > Science & Nature > Geography > Christchurch New Zealand Earthquake Pics 2010? Today there was a strong earthquake in Christchurch New Zealand. The earthquake epicenter was four miles south-southeast from Christchurch, New Zealand, on the nation's south island. Local media reports there have been strong aftershocks and power outages throughout the city. Where can I see pictures of today's earthquake? Were there any casualties? The quake had a magnitude of 7.0, down from an initial assessment of 7.4, the U.S. Geological Survey said. It struck about 35 miles from Christchurch, a city of about 386,000 people. Police reported widespread minor damage and local power cuts. Christchurch is New Zealand's second largest city. The earthquake did not prompt any tsunami warnings as it was inland, and no one has been reported to have been killed or injured at this time. There have been many reports of damage to buildings and property, including power lines down and some buildings have been compromised. This picture was taken after the earthquake. The last two major quakes in new Zealand occurred in Cass, November 24, 1995 (Magnitude 6.1) and Cape Campbell, January 18, 1977. (Magnitude 6.1). There were no casualties in either earthquake, although their structures are not built to withstand strong temblors. 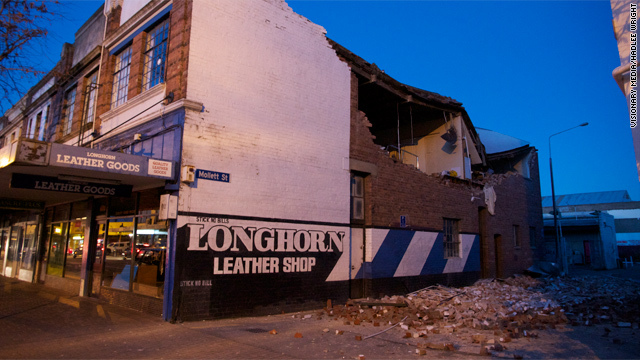 Similar Threads for: Christchurch New Zealand Earthquake Pics 2010?